Flowers are usually what you think of when you imagine a boutonniere. 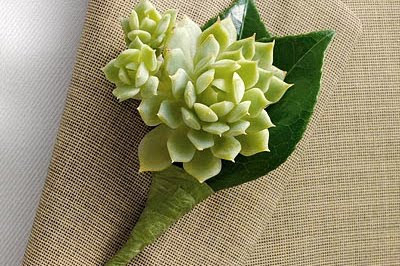 For the groom and groomsmen of the wedding however I have taken note of the “green boutonniere.” As much as I always love the flower for the men, this option works just as well and changes things up a little. 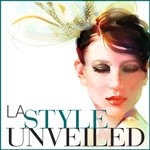 A respected event planner to the stars in Los Angeles, Jo Gartin, is particularly fond of the flower-less accessory for the men. If you do indeed decide to “go green,” you can choose simple leaves, berries, or other greenery as a satisfying substitute to the bud. I LOVE succulents. What a great little idea. Especially in Southern California. I think this would look even better on a white coat.